PLEASE HELP BY WRITING A REVIEW ON AMAZON! Click Above. Radio Interview on "Creating From The Soul" book debut. ARCHIVING: find my show on the NFTS archive at www.newsforthesoul.com/moreshows1.htm indefinitely! Channeling Ascended Masters Speak on Transformation and Raising Consciousness. The Ascended Masters in this Channeling session will speak on transformation of our consciousness. Raising ourselves to be more loving, more compassionate, more capable of prosperity, more spiritual and more aware. As always this will include a talk, meditation and channel. 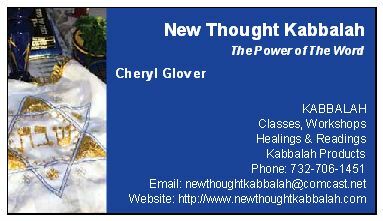 Sarah Spiritual Show: Cheryl will be the guest for this broadcast. Thanks all, see you online. your past lives that effects and affects your current life. here. How the past impacts the current. Not a tarot session, not your ordinary reading. check or cash in person. I can even take it in two credit card payments a month apart. IN 2008 this class costs: $175, in 2007 it was $200. Level III will also be the same price. The optional Master Class will be $75. Reiki is the Japanese Art of Energetic Holistic Healing. as a Practitioner I after this class. been a Reiki Master for over 20 years. There are three levels to becoming a Reiki Master. you can practice Reiki and even begin a new career. You must have successfully passed a Reiki I Class. $200 classes: I have not lessened the class at all. You will learn all you need to learn to be a Reiki I Practitioner. Masters, Biblical figures, Angels, etc. to be attuned to. this. I can help you during the class if you are stuck. on you and help you choose. the millions of Reiki attuned practitioners. Check website to see this film: Snake Hill is an independent movie that Cheryl is involved in. Her psychic information is used in the movie. GOT PAIN? We've got relief!! Click Here! !